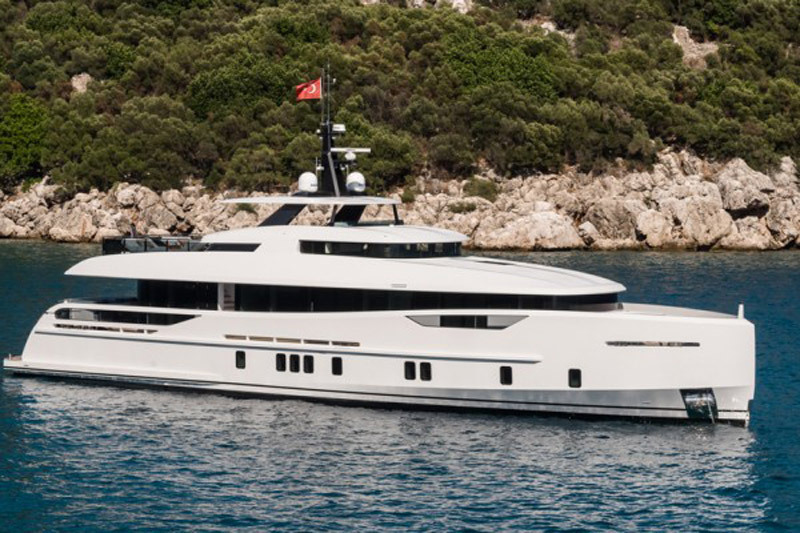 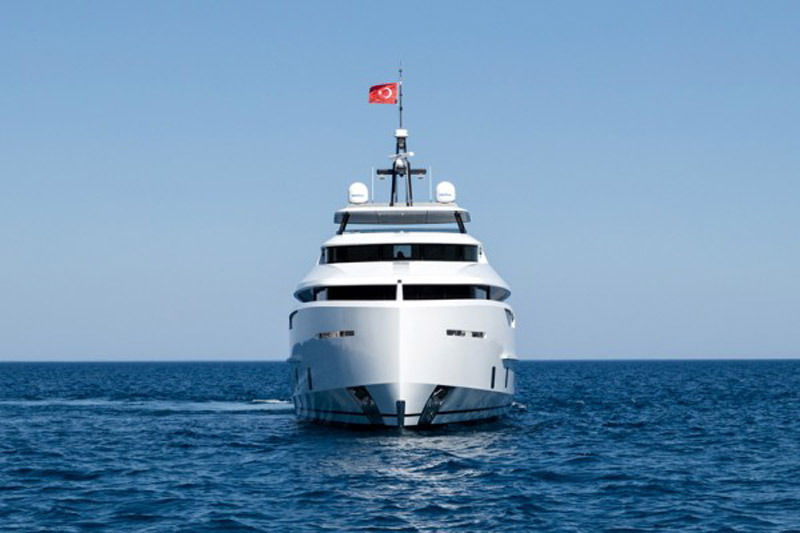 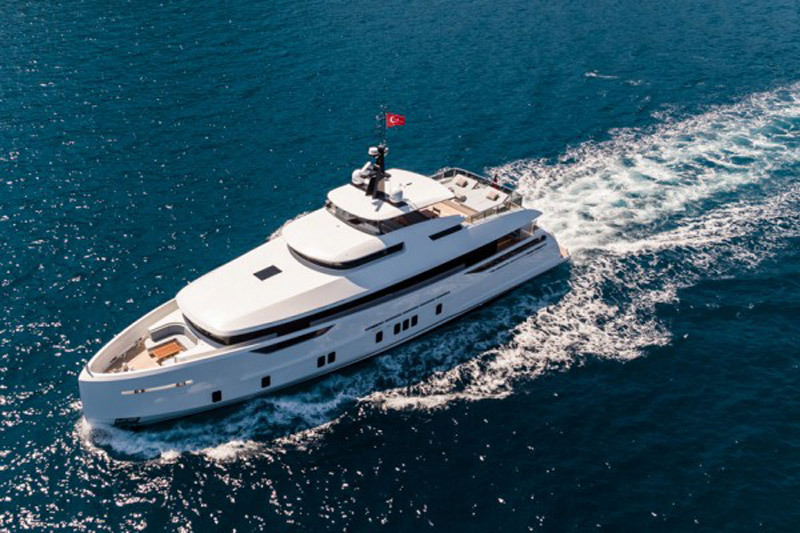 The new yacht, called VIRGEN DEL MAR VI, is 32 meters long and represents the tenth yacht of a Turkish shipyard that is ten years old, Alia Yachts, and is certainly impressive. 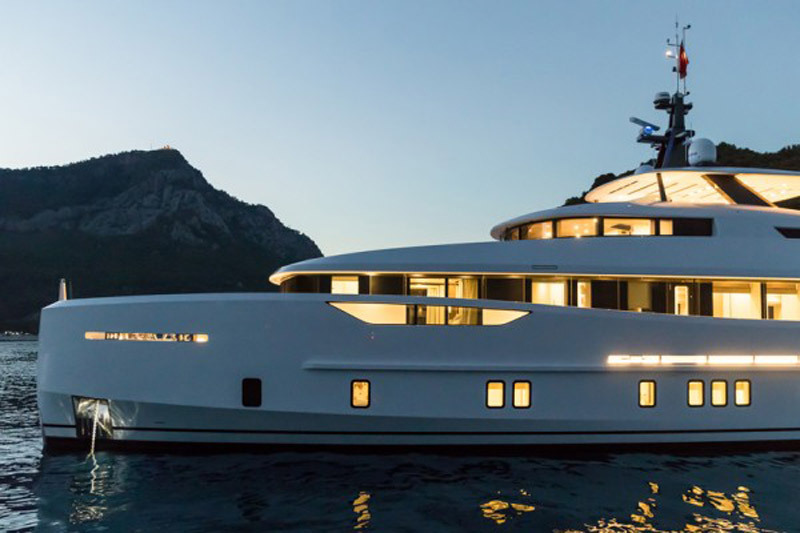 Of course, she received incredibly positive comments from everyone who saw it, that this shipyard, which is usually creating unique ones, decided to use its three-deck technical platform as the base for the entire mini-series of ships. 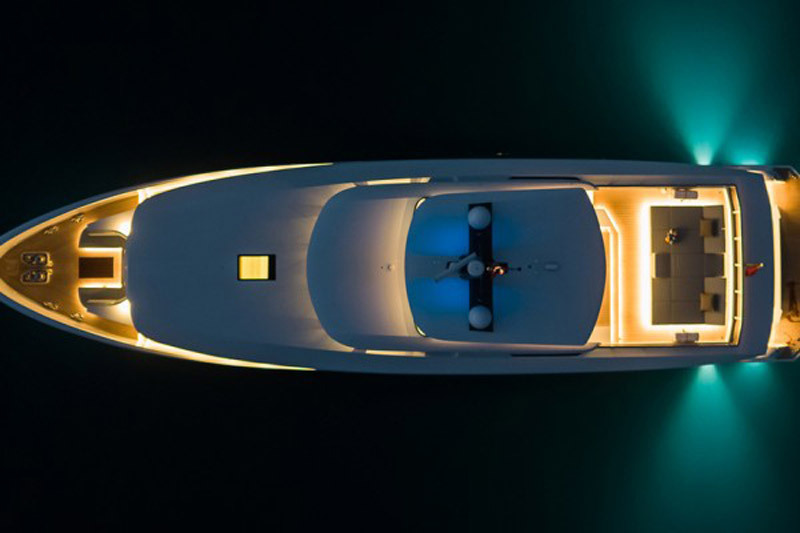 You wonder what makes this yacht so special? 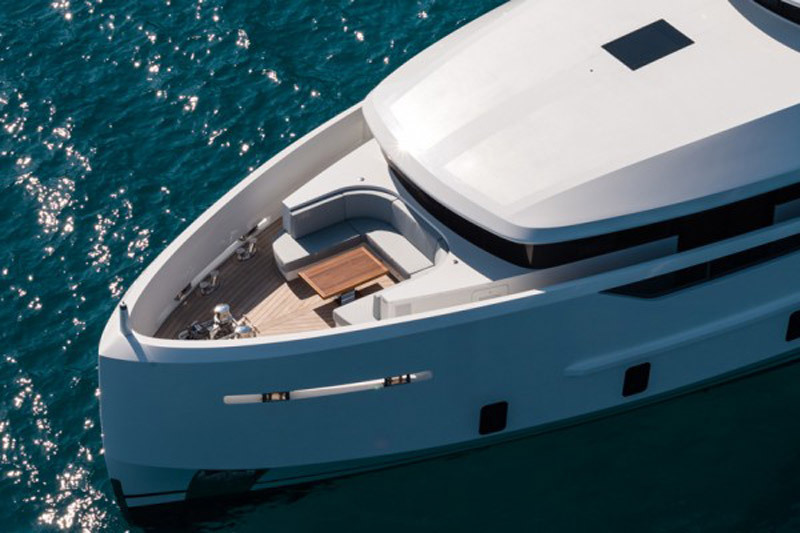 Well, the answer starts with its size, or the way it uses its size. 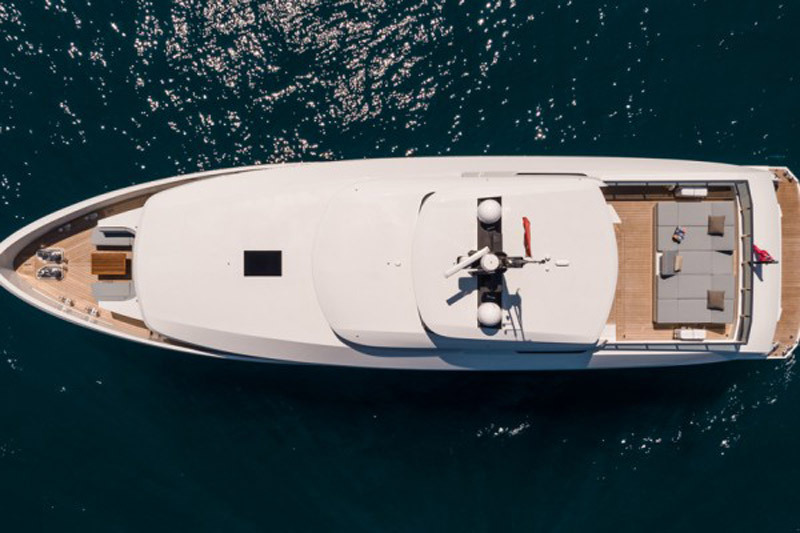 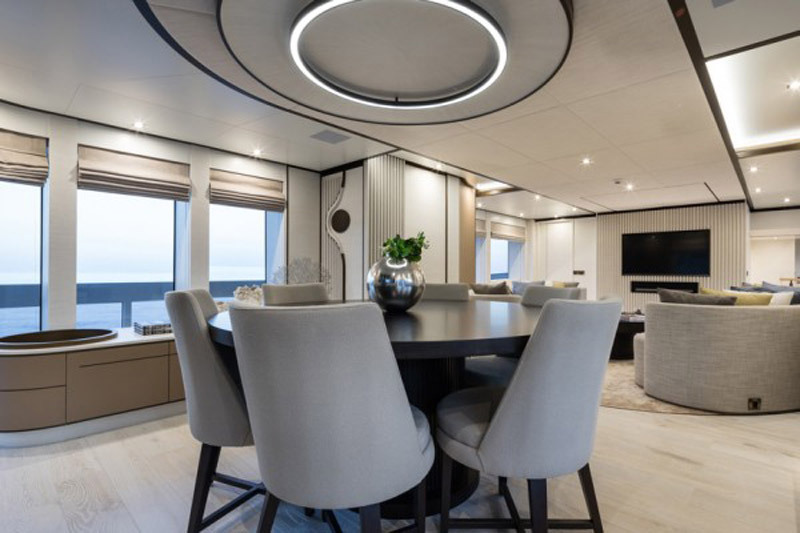 It falls into the category of “pocket” super-yachts, designed to give the impression of far greater space than its one, through the smart use of every corner and interior decoration that is the work of UK studio Redman Whitely Dixon. 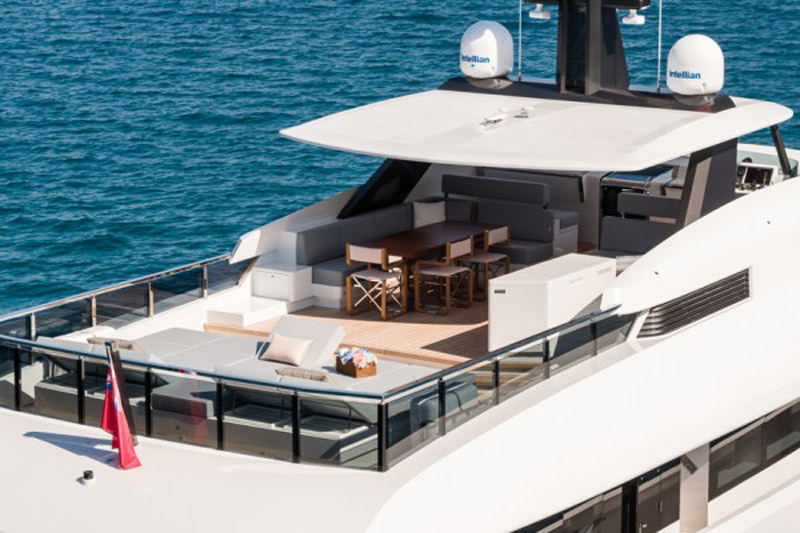 For example, the lounge and dining room are equipped with white walls and ceiling panels, white and cream pieces of furniture and light oak, with dark wood accents that add depth to the whole area. 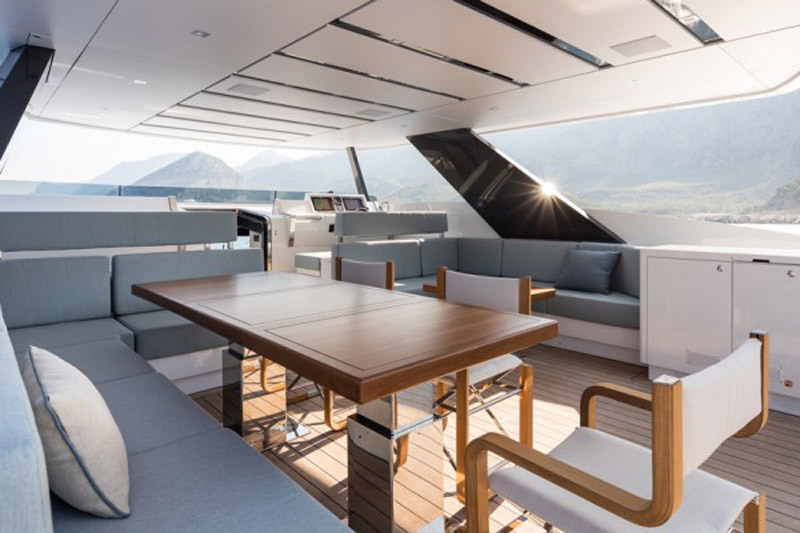 Color palettes in its mission of visual expansion of space help large windows from the floor to the ceiling, which connect with the open sea. 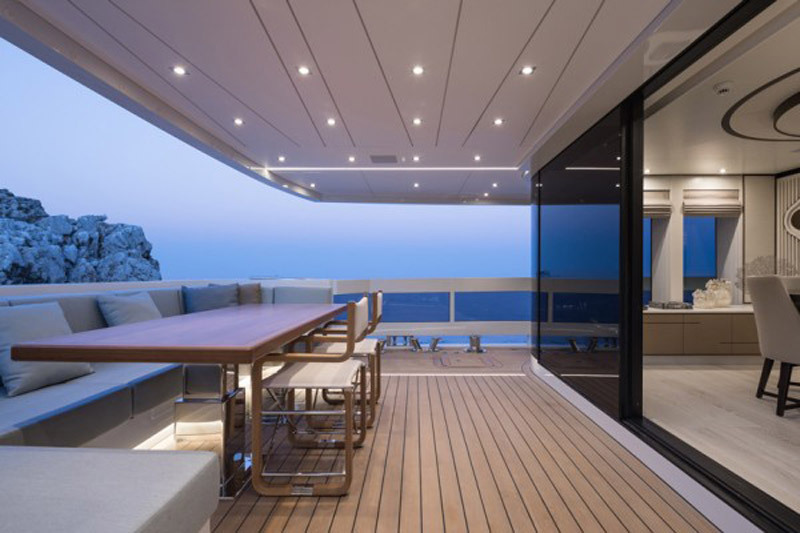 The front of the main deck is dedicated to the owner’s apartment, which opens onto the large terrace with the help of two glass doors. 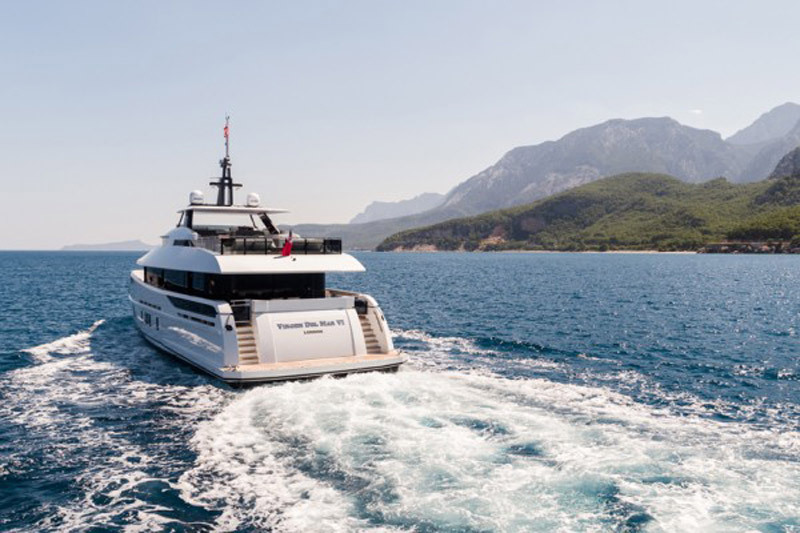 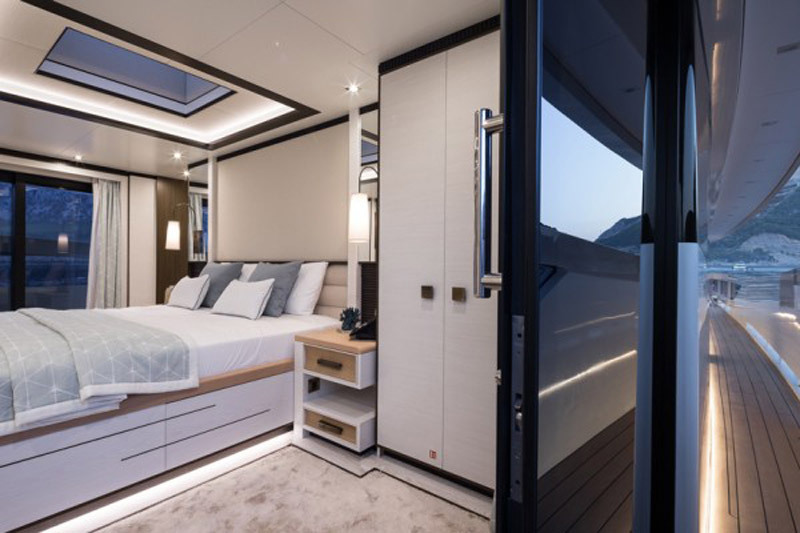 The lower deck contains four more cabins, while the yacht is crowned by a flybridge deck that has an open layout of space, with a seamless transition from the interior to the exterior. 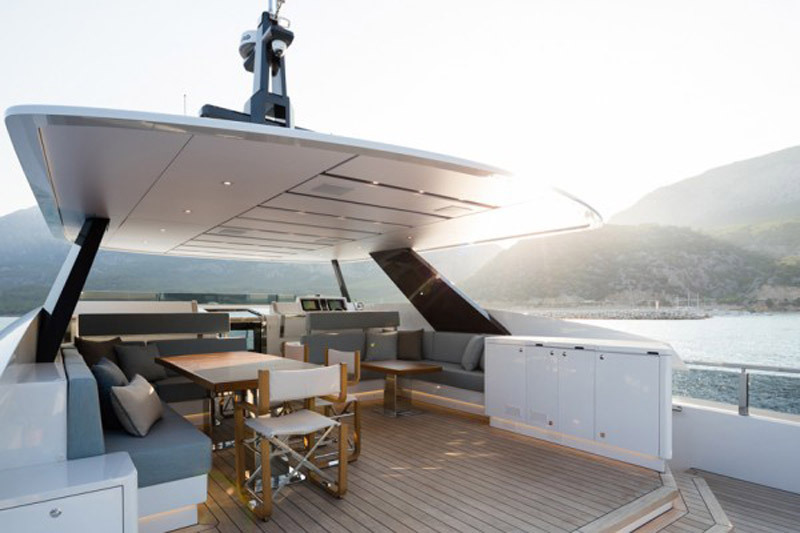 Outdoor seating, plenty of deck chairs and a U-banquet make this deck perfect for enjoying the company, and this whole package finishes the beach club that is housed on the stern. 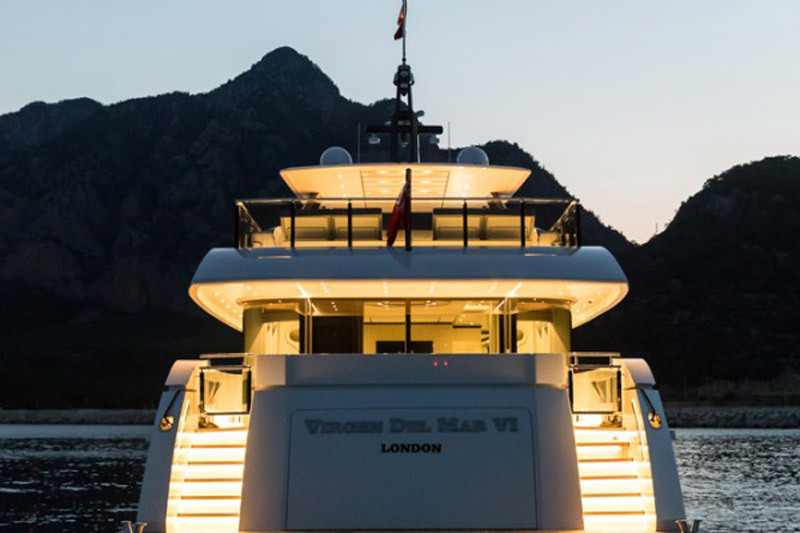 As it has already arrived in the hands of its owner, VIRGEN DEL MAR VI yacht has already cruised the Mediterranean this summer.